But that’s exactly how I felt when I went to Byron Bay recently. The first glimpse of the beach was a big energy-booster and a relaxant at the same time, while the backdrop of hills and lush farms added to its fairy-tale quality. The decision to move started crystallising when we booked into our Airbnb – nestled in a still-quiet street a few doors down to the Tree House Café and only 15 minutes from Byron town. A large bowel of macadamias and a cracker only served to increase my affection. The beach of course is where it’s at in Byron. Sand as far as your eye can see to the left, the Cape Byron Lighthouse to the right. A lovely place for a daily walk or swim. Come Monday morning and the sandy stretches were dotted with people – young, old, unemployed, middle-aged and retirees. Were these people employed? What did they do? 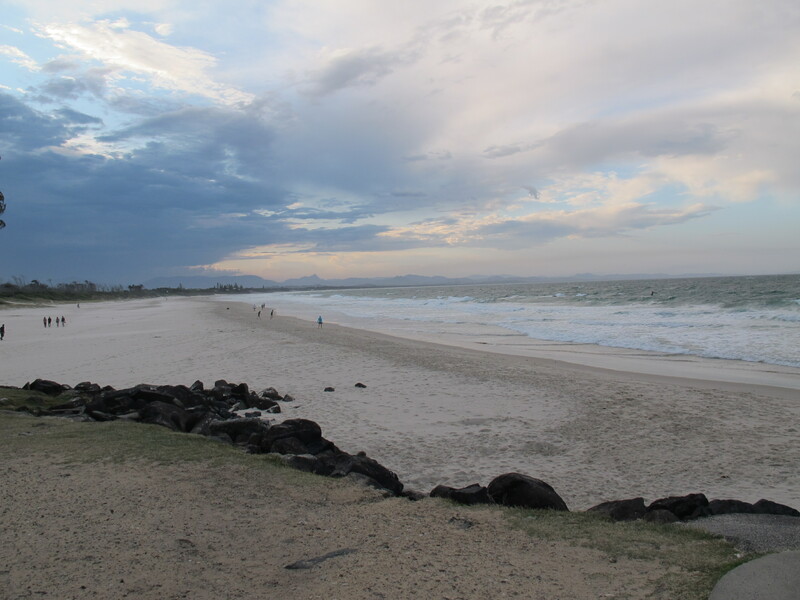 Byron Bay has become synonymous with the entrepreneur life. Want to start a jewellery business? Move to Byron. It’s easy to see why. I could easily imagine a life getting up in the morning and going for a run on the beach, having a breakfast of mango and macadamias and then heading on over to the study or maybe a collective studio to write. Then, come afternoon, pop out during the arvo for a swim or a surf and then home for dinner and a drink on the balcony. There is a feeling in Byron that start ups and freelances are supported. Cafes are full of people having business lunches or tapping away at their laptops. The Byron and Beyond Networking Group host regular events such as ‘how to use local media to promote your business, and ‘goal setting for success’ or host talks by local success stories like Kieth Byrne of the Byron Bay Cookie Co.
Over the past five years there have been a steady number of businesses in town, hovering around the1500 mark but the unemployment rate is higher than the state average of 5.8%. While the place has enough cafes to keep people fed and the tourist industry is obviously a steady source of income, the price of living an alternative, free-spirited life now comes at a price. 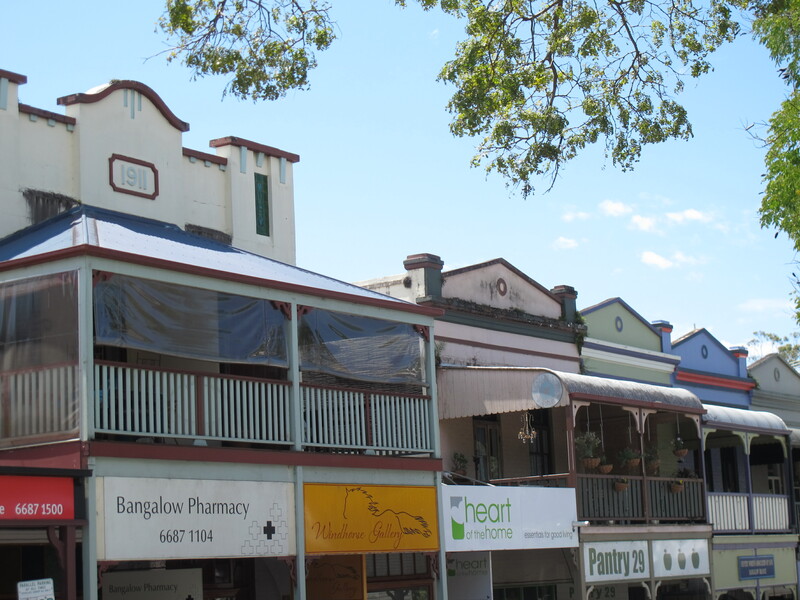 Even the town of Bangalow has had a surge in real estate prices. Real estate has skyrocketed pushing people further out to the surrounding inland towns such as Bangalow, Federal and Mullumbimby. And while traffic is bad on a normal day in Byron and the price of parking is astronomical for a small town, Schoolies and New Years would be a whole other level. So while I was initially ready to pack my bags and embrace yoga on a daily basis, the practicalities of living in Byron did bring me back down to earth. What place have you visited recently that you’ve wanted to move to?